The right rear section of the watershed model represents a farm. A farmhouse, tractor, and manure containment tank are represented. 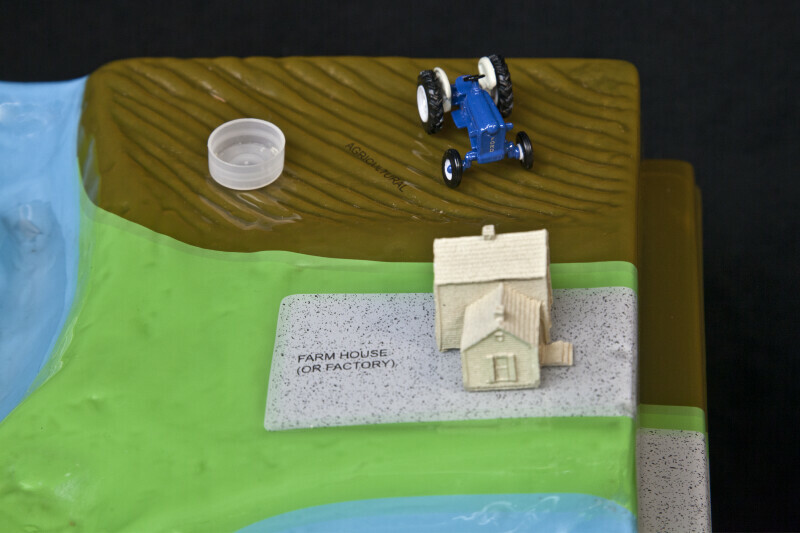 The model can be used to demonstrate how soil, pesticides, and fertilizer can contaminate surface waters.